Tanya Sullivan - Occupational Therapist - Kids Are Kids! We are thrilled to expand on our Occupational Therapy team at Kids Are Kids! and welcome Tanya Sullivan, our new Occupational Therapist. Tanya originally graduated from Curtin University in 1994 with a Bachelor of Pharmacy and worked for twelve years as a community pharmacist. After a break of a few years, when raising her children she decided on a career change and went back to Curtin University, graduating with a Masters of Occupational Therapy in 2017. 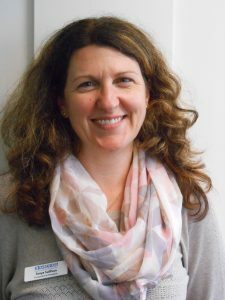 Tanya has extensive experience working with adults with brain injuries and mental health conditions in a hospital setting, and children both with and without disability in the school setting. Using creativity and play to engage children during therapy, and working with families to achieve their goals brings much happiness and satisfaction to Tanya. If you would like to make an appointment for your child with Tanya Sullivan please call 9313 6566.